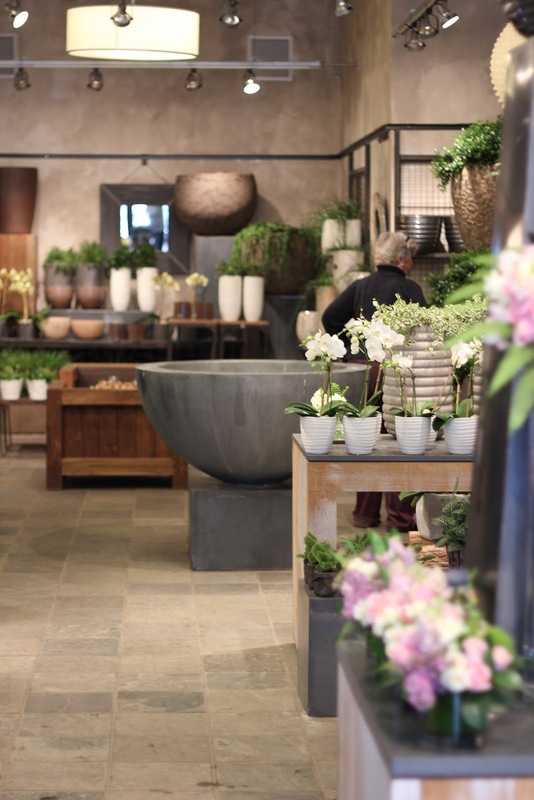 Jenny Steffens Hobick: Around Our Town | Winston Flowers in Concord, Ma. Since moving to Concord almost a year ago, I've come to love so many of the local businesses and resources (like Verrill Farm that I wrote about last week). High on the list is Winston Flowers. 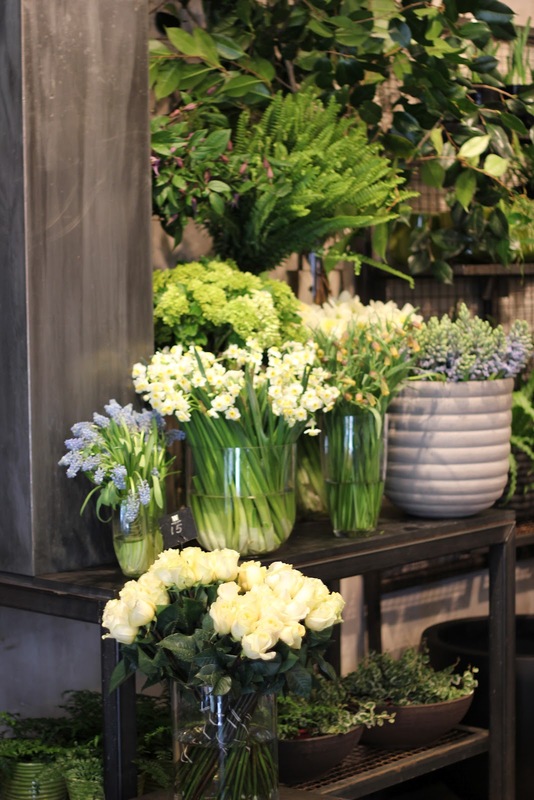 There are five other locations in the Boston area, but it is far from a 'chain' florist. What I love most about Winston is that it feels like a flower market. 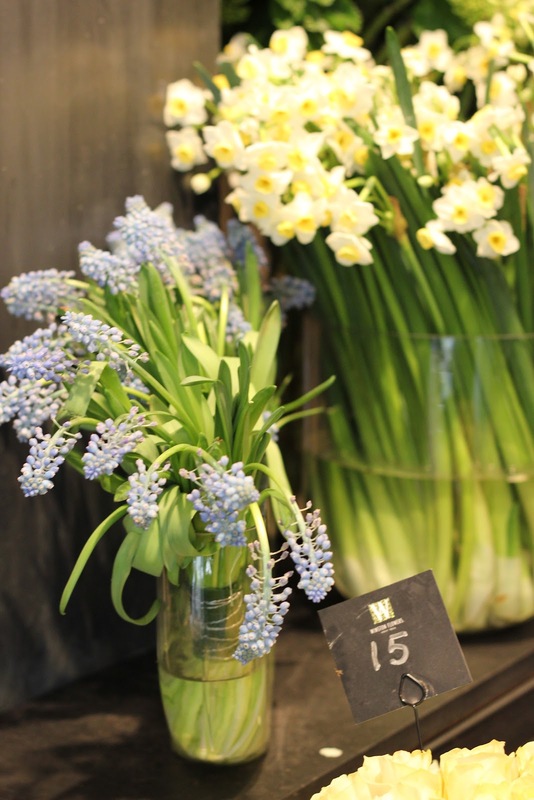 All of the blooms are displayed in the front of the store in masses - giant bunches of daffodils, tulips, muscari and blooming branches for Spring. I love that most of their flowers are seasonal - except for the $15/dozen roses that are handy to pick up for any occasion. 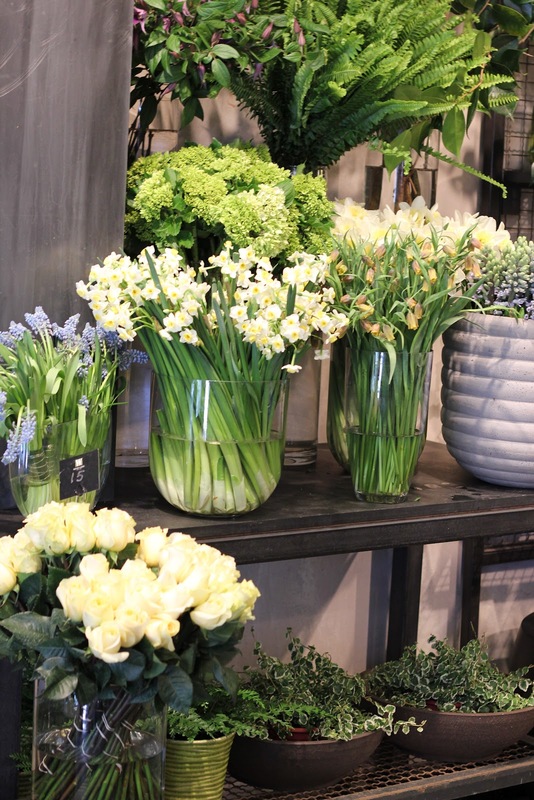 I know when I walk in the store it will give me that feeling of Spring, the Holidays, Autumn... or whatever the season might be. They foster my love of potted plants with their selection of planted daffodils, ferns and other botanicals with unique containers. Look at how everything is displayed - I would love a greenhouse or a workshop that looks like this someday... maybe a project for my sun porch? I get so much inspiration when I go in - little ways to display blooms, and ideas for centerpieces and tables. I've purchase several of their pots and come in on a regular basis to get the seasonal plant that fits in that particular container - one of my favorite things to do when we have a guest coming to stay with us. I'll be the happiest girl in such a beautiful place! Soooo jealous! There is nothing like that around here, and boy would I be spending my paycheck there. I thoroughly believe that fresh flowers are the finishing touch that always makes such a difference in a room. You are one lucky girl to have such exceptional shops so close! Love Winston's, I work in a flower shop in NJ and we always call Winston's when we have an order for that area! They are the best! Wow, gorgeous - very inspirational - visiting there in the wintertime must be like taking a little vacation. I hope that you will share images of future visits. I would be curious to see how the displays change from season to season. Thanks for sharing!! Jenny, Just found your blog and have enjoyed reading your posts! I live in Boston and frequent the Winston's on Newbury. It's a weekly thing for me to stop in and see all of their fresh flowers. Even if I leave empty handed (rare), I still go home with so many ideas! The Wellesley Winston's is also fabulous and is worth a visit.